Background/Info: Hungarian artist András Gulyás is a rather familiar name active in the Hungarian underground fields, but it also is a man of multiple talents. He has been involved in different projects, switching from electro-pop (Quantum Cowboys) to darker industrial fields. LivingTotem released an album on Advoxya Records (2014) and now signed to Ant-zen to unleash this new opus. Content: “Raw Effort” is a work that explores multiple influences. It’s definitely dark and somewhat experimental-like, but the mainly characterized by a minimal electronic approach. Quite progressively you’ll notice the sound intelligence emerging from the tracks leading towards IDM. Some of the atmospheres are pretty anguished, but always driven by hard, bombastic and danceable rhythms. Some of the final cuts even become a bit trance-minded while spiced with psy-trance elements. 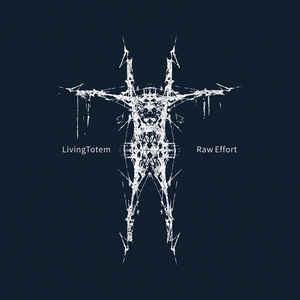 + + + : “Raw Effort” is a terrific piece of work; the kind of album I expect when listening to IDM. But it’s not only IDM as LivingTotem moves beyond any label and music genre. “Raw Effort” became a kind of sonic fusion where every single influence and sound element will get its place, creating a compact entity. I like the bombast of the cadence and the intelligence of the sound treatments. This album is the result of a dense creative process. – – – : I can imagine the versatile character of the production might be a bit confusing for some listeners. 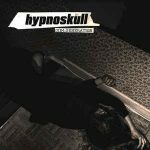 The album is constantly moving from one influence to another one and the psy-trance approach at the final track (composed together with Hungarian composer László Hortobágyi) is maybe not the most representative cut of this work. Conclusion: LivingTotem doesn’t care about established music genres and cheap fashion trends, but simply sounds like having exorcised different music ideas in a dark, danceable and avant-garde like industrial opus! Best songs: “Musty Sandpaper”, “Dreadful Neon Camp”, “Life Causes Death”, “Immortal Magic Package”, “The Parameter Is Incorrect”, “Glorious Rotten Spacecraft”.